Google Reportedly Fires Employee Who Slammed Diversity Efforts : The Two-Way In a 3,300-word document that has been shared across Google's internal networks and beyond, an engineer at the company said "biological causes" are part of the reason women aren't represented equally. Google executives say their company is committed to inclusion, after an engineer's criticisms of its diversity efforts sparked conversations outside the company this weekend. A senior software engineer reportedly has been fired by Google after a memo he wrote criticizing diversity initiatives was leaked and sparked protests on social media. The 3,300-word document that has been shared across Google's internal networks says "biological causes" are part of the reason women aren't represented equally in its tech departments and leadership. The senior engineer also cited "men's higher drive for status." Another software engineer who used to work for Google, Kelly Ellis, says some women who still work at the company stayed home Monday because the memo made them "uncomfortable going back to work." Now, Bloomberg and Reuters report the memo was written by James Damore and Google has fired him for "perpetuating gender stereotypes." The news services say Damore confirmed the dismissal by email. The memo that some have jokingly called a "manifesto" has been shared across Google's internal networks and says "biological causes" are part of the reason women aren't represented equally in its tech departments and leadership. The senior engineer also criticized Google for being an "ideological echo chamber" that made it hard to dissent from "Google's left bias" and "politically correct monoculture." Not enough has been done, the engineer said, to encourage a diversity of viewpoints and ideologies at Google. The author also faulted the company for offering mentoring and other opportunities to its employees based on gender or race. 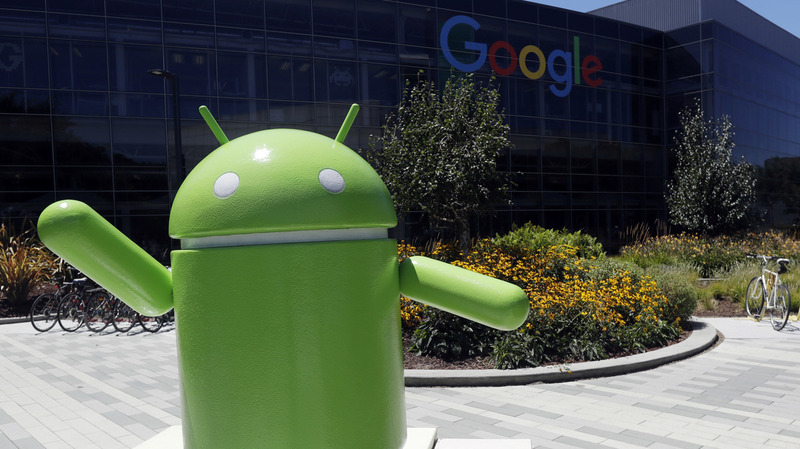 Google also has been pushing more employees to take its classes on "unconscious bias." Ellis said she left Google in 2014 after she was sexually harassed. When she read the leaked document, it didn't surprise her "because I saw similar language when I was at Google being shared on internal message boards and other different internal forums." Ellis said although he isn't a manager, the "manifesto" author's opinions directly impact his female peers. "The main input to Google's performance review process, which is how they slot engineers, which determines pay — the main input to that is peer review," says Ellis. "It's your peers writing feedback on your work." Danielle Brown, Google's vice president of diversity, sent out a companywide memo in response to the document. She stated, "Diversity and inclusion are a fundamental part of our values and the culture we continue to cultivate. We are unequivocal in our belief that diversity and inclusion are critical to our success as a company." According to Brown, Ari Balogh, a vice president in engineering who heads the department in which the employee worked, wrote a note in response to the "manifesto" in which Balogh stressed the importance of Google being open and inclusive. He wrote, "We cannot allow stereotyping and harmful assumptions to play any part." The "manifesto" made headlines over the weekend after Motherboard and Gizmodo reported on it. In it, the author equated the company's effort to attract more women to work in technology to (hypothetical, we assume) efforts to achieve gender balance in other areas, such as "the homeless, work-related and violent deaths, prisons, and school dropouts." Widespread sharing of the document has highlighted struggles with gender equality and the wage gap in the tech industry and particularly at Google, which was sued by the federal government earlier this year for refusing to share compensation amounts and other data. In April, a Department of Labor official accused Google of practicing "systemic" discrimination against female employees. Despite speaking very authoritatively, the author does not appear to understand gender. Perhaps more interestingly, the author does not appear to understand engineering. And most seriously, the author does not appear to understand the consequences of what he wrote, either for others or himself. Addressing the engineer who wrote the document, Zunger wrote, "If you hadn't written this manifesto, then maybe we'd be having a conversation about the skills you need to learn to not be blocked in your career — which are precisely the ones you described as 'female skills.' "
As for the author's feeling that their views couldn't be discussed openly, Zunger called the author's views "fundamentally corrosive" to any organization. Another response came from software developer Sarah Mei, who devoted a string of tweets to criticize both the document and the way its argument was presented. "This guy almost certainly thinks of himself as a 'computer scientist', but he does exactly what you're not supposed to do as a scientist," Mei wrote. "He draws a conclusion favorable to his ego, and then works backwards from there, constructing an argument to justify it." In another tweet, Mei said, "This google dude literally works at the company that made it _trivially easy_ to locate relevant social science research." This google dude literally works at the company that made it _trivially easy_ to locate relevant social science research. As for the author, the engineer who wrote the document said it was intended to prompt an honest discussion — one that could explore "blind spots" that can develop from inherent or unconscious biases. In a footnote to the document, the author added, "Of course, I may be biased and only see evidence that supports my viewpoint." At times, the author appears to take conflicting positions. The engineer began the document by stating, "I value diversity and inclusion, am not denying that sexism exists, and don't endorse using stereotypes." The message ended with a similar sentiment — but with the added notion, "Stereotypes are much more accurate and responsive to new information than the [company's] training suggests."